Mr. Will F. “Hank” Crawley, age 90, entered into rest on Wednesday, December 5, 2018 at his home. Funeral Services will be 3:00 PM Friday, December 7, 2018 at Lower Macedonia Baptist Church by Dr. Lindsey Powell with burial to follow in the Lower Macedonia Memorial Gardens. The family will greet friends from 1:00 – 3:00 PM Friday, prior to the service at the church. Mr. Crawley was born April 17, 1928 in Ruby, SC a son of the late Arthur Frank and Olive Helen Oliver Crawley. He was a retired employee of Burlington Industries with 39 ½ years of service and a former employee of Harris Brown Management with over 13 years of service. A faithful member of Lower Macedonia Baptist Church, Hank was a former Deacon, Music Director, Sunday school teacher, R.A. Director and Leader, Brotherhood Director, Training Union Director, and cemetery caretaker for many years. Recently, the softball field was named in his honor, The Hank Crawley Memorial Field, at Lower Macedonia Baptist Church. An active member of the community, Mr. Crawley was a charter member of Teal’s Mill Fire Department and a charter member of Green River Country Club. 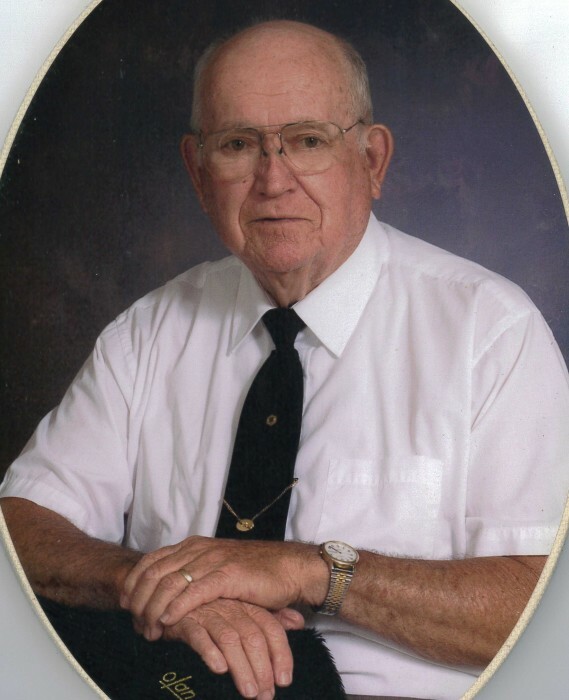 He enjoyed playing golf, basketball in his earlier years, hunting, fishing, and gardening. Hank enjoyed singing and playing gospel music. He shared his God-given talent through the years singing with numerous gospel groups and was always willing to minister when called upon. In addition to his parents, Hank was also preceded in death by his first wife, Bonnie Griffin Crawley; daughter, Wanda Lynn Dixon; 2 brothers, John Crawley and Arthur Crawley, Jr.; and 3 sisters, Mary Etta C. Kirkley, Beattie Lee Sparza, and Helen Rivers. Survivors include his wife, Mary Lou Burr Crawley of the home; son, Will Arthur “Art” (Dorothy) Crawley of Emporia, VA; daughter, Elaine (Joe) Rogers of Patrick, SC; step-son, Wayne (Deena) Burr of Elgin; grandchildren, Bridget (Bobby) Wilkerson, Jonathan Crawley, Jessica (Tyler) Frable, Travis (Sara) Crawley, Bradley (Shannon) Crawley, Luke Crawley, Kimi (John) Pelt, Jennifer Rogers, Charlie (Connie) Burr, Wesley (Caroline) Burr, Jacob Burr, Amy (Michael) Snodgrass, and Tammy (Jay) Parish, 24 great grandchildren, 3 great-great grandchildren; brother, Doug Crawley of Ruby, SC; sister, Margaret C. Thurman of Florence, SC; and numerous nieces and nephews. Memorials may be made to Lower Macedonia Baptist Church, 5367 Teals Mill Road, Chesterfield, SC 29709. Miller-Rivers-Caulder Funeral Home (www.mrcfuneralhome.com) of Chesterfield, SC is serving the Crawley family.